A home repossession order is a lawsuit whereby a lender (your bank or your mortgage company) seeks to repossess you home to resell it to pay off the debt that is owed to the lender. A home repossession deprives the owner of the house of any rights to the property. If you fail to reach an arrangement at this point, you will be summoned to court to and the decision will be made with regard to the repossession of your home. 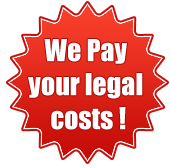 If a repossession is granted to the lender then you will be required by law to vacate the property. If you have sufficient equity in your property and would like help in releasing equity from your home, then you may want to consider the option to sell your house fast to pay back your outstanding debt. There are companies that specialize in the quick sale of a house in such circumstances. So to stop a repossession the best course of action is to negotiate a solution with your lender at an early stage. Don’t despair and take action fast. 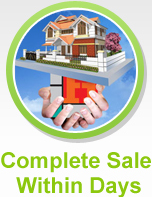 If not then sell your house fast to recover the equity from your home to pay off the debt. Contact us and we will directly buy your house form you immediately to help you pay off your debt. You can even use the cash left over from the sale off your house to plan your future, once your debt has been cleared.